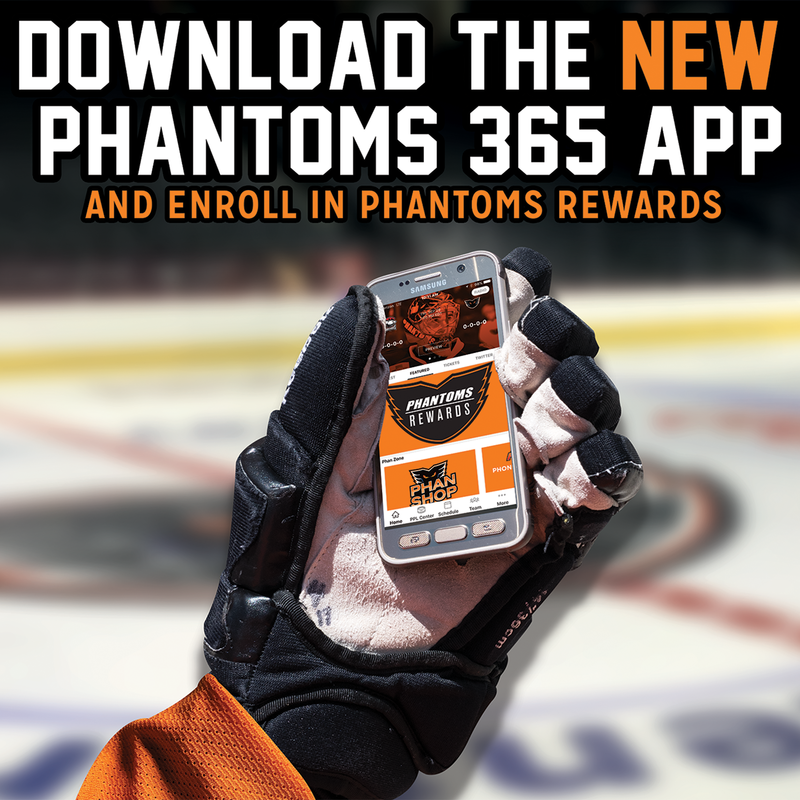 Lehigh Valley, PA – The Phantoms ended their four-game homestand as they began it, with an overtime win. This time it was T.J. Brennan striking for the winning tally in a 3-2 victory over the Charlotte Checkers in front of a sold out Military Appreciation Night crowd of 8,526 on Wednesday evening in downtown Allentown. 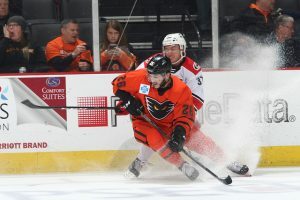 Brennan’s goal, rushing up the right-wing after a puck-battle win for Misha Vorobyev, capped a frenetic overtime period that rates among the more exciting 3-on-3 sessions the Phantoms have ever played. 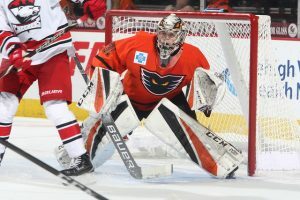 The game marked the 100th all-time overtime victory in 23 seasons for the Phantoms franchise and was also Lehigh Valley’s 10th all-time overtime win at PPL Center. Phil Varone (5th) and Misha Vorobyev (2nd) registered power-play goals for the Phantoms in the second period and Vorobyev also assisted on Brennan’s overtime winner for a two-point night. Rookie goaltender Carter Hart was sensational in net with 35 saves on 37 shots. Lehigh Valley went 3-1-0 on its four-game homestand while avenging Saturday’s loss against the same Charlotte Checkers squad. Andrew Poturalski (5th) and Julian Gauthier (6th) registered lamplighters for the Checkers. Gauthier scored with 5:18 remaining in the third to tie the game and ultimately force overtime. Brennan has scored three overtime winners since joining the Phantoms a couple seasons ago. 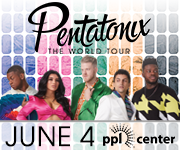 This is first at PPL Center. The Moorestown, New Jersey native scored at the St. John’s IceCaps two seasons ago and had another last year in January at the Hershey Bears. Brennan’s three career overtime goals is the most of any Lehigh Valley player and he becomes the eighth in franchise history to score three or more overtime winners. Three other players have scored two overtime goals for Lehigh Valley; Brandon Manning, Nick Cousins and Corban Knight. Brennan also scored his 153rd career goal in the American Hockey League pulling the popular five-time All Star to within 13 goals of the all-time record for goals by a defenseman held by former Philadelphia Phantom John Slaney who had 166 in his AHL Hall of Fame career. The night almost began with the biggest bang of all when Cole Bardreau, in his milestone 200th game with the Phantoms, emerged with a quick breakaway chance the he put off the post. Bardreau’s near-miss just five seconds into the game would have gone down as the fastest goal in Phantoms franchise history and would have topped the previous record of nine seconds when Tye McGinn scored ultra-fast to begin a game for the Adirondack Phantoms. Bardreau joins Chris Conner and Taylor Leier in the 200-Game Club with Lehigh Valley. But after that quick push, the Charlotte Checkers took control and were firing away on Carter Hart. Three power plays in the first period also helped keep Charlotte in the driver seat. But of the 16 shots on goal for the Checkers in the opening frame only one would go in. Poturalski found himself with the puck on top of the crease to put on a backhand move to Hart’s right at 4:22 for a 1-0 lead. The Phantoms had tried to clear the zone but defenseman Dennis Robertson successfully blocked down the bouncer at the right point and immediately spotted the open Poturalski for the tally. The Checkers kept the pressure to begin the second period but then the tide started to adjust and the Phantoms gained control. 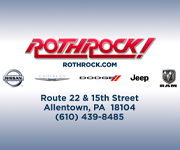 Lehigh Valley would strike with consecutive power-play goals by Phil Varone at 11:02 into the second and then my Voroboyev just over three minutes later at 14:07. 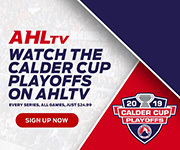 Varone’s goal came as a result of quick, snappy puck movement on the man advantage with Carey connecting over to Brennan whose shot-pass into the slot was deflected in by the reigning AHL Most Valuable Player for a 1-1 tie. Three minutes later, it was David Kase spotting Vecchione in the right circle whose shot got through Nedeljkovic and hit squarely off the left post for a perfect carom to Vorobyev in the left circle. 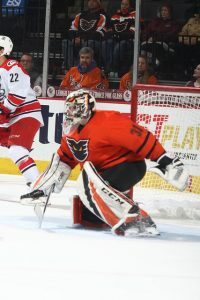 The second-year Russian offered a quick put-back into a half-open net before the Checkers goalie could identify where the puck had gone and suddenly the Phantoms had surged ahead for a 2-1 lead. The Phantoms looked like they were on the verge of pulling away with several great chances in the third period but open backdoor shots were missed and others that got through Nedeljkovic somehow wouldn’t go in. Cole Bardreau emerged, almost midway through the third period, with his second breakaway of the game and this time was hooked by Charlotte defenseman Trevor Carrick. But Bardreau was unsuccessful in his first career penalty shot as Nedeljkovic denied Bardreau’s backhand offer with a right-pad save. It was the first penalty shot of the season for the Phantoms and the first for the team in over a year since Danick Martel had one on October 14, 2017 against Wilkes-Barre. A couple minutes later was a gloriously long 5-on-3 advantage for 1:36 but the Checkers again were able to survive and stay within one goal of the Phantoms. Charlotte used the momentum of its successful two-man penalty kill to surge back with a push of its own eventually setting up Gauthier’s tying goal from the left circle to the far post with just 5:18 remaining. The Phantoms had the bulk of the chances in the overtime while continuously winning puck battles from the Checkers. Another one of those battles was pulled out by Vorobyev in the Phantoms zone who spotted Brennan up the right wing who would finally put home the game-winner after several narrow misses and close-calls for the Phantoms throughout the extra period. 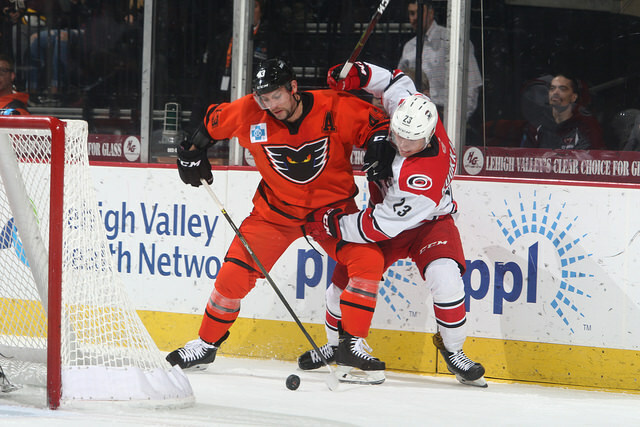 Charlotte out shot Lehigh Valley 37-31 but the Phantoms held the shot advantage in the overtime session 4-0. The Phantoms went 2-for-7 on the power play while the critically strong penalty kill held the Checkers to 0-for-6. Lehigh Valley improved to 2-1 in overtimes this season and 3-2 in games decided after regulation (including 1-1 in shootouts). 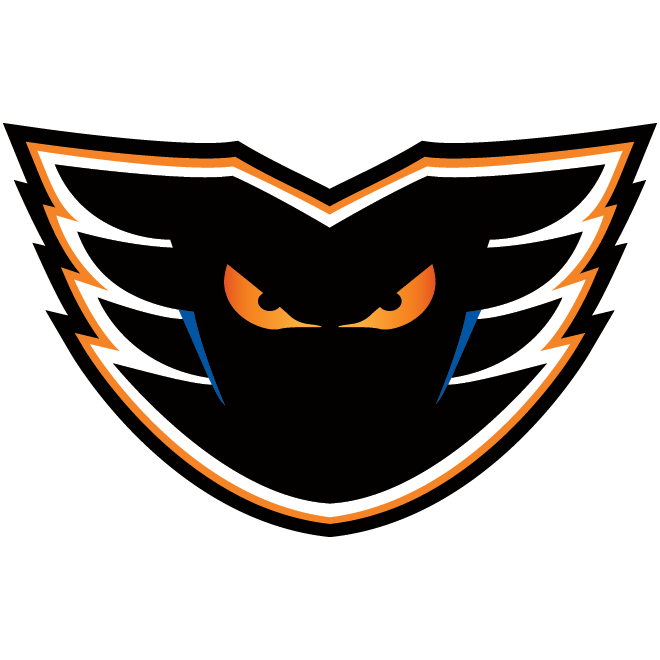 Lehigh Valley is 20-10 all-time in overtime games and the Phantoms franchise is 100-78-65 (including 65 ties before the AHL had shootouts) dating back to the Philadelphia Phantoms in 1996. 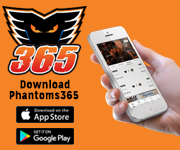 The Phantoms embark on a brief two-game road-trip on Friday and Saturday at the Providence Bruins and Springfield Thunderbirds. 1st Period-1, Charlotte, Poturalski 5 (Robertson, Renouf), 4:22. Penalties-Vorobyev Lv (tripping), 1:35; McKegg Cha (slashing), 8:01; Friedman Lv (holding), 13:02; Carey Lv (holding), 16:21. 2nd Period-2, Lehigh Valley, Varone 5 (Brennan, Carey), 11:02 (PP). 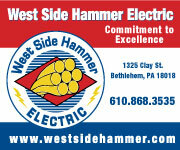 3, Lehigh Valley, Vorobyev 2 (Vecchione, Kase), 14:07 (PP). Penalties-Renouf Cha (elbowing), 6:44; Zykov Cha (boarding), 10:13; Renouf Cha (hooking), 12:30. 3rd Period-4, Charlotte, Gauthier 6 (Bean), 14:42. 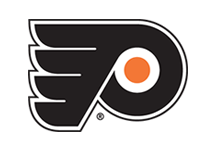 Penalties-Myers Lv (slashing), 1:05; Carrick Cha (cross-checking), 2:15; Brennan Lv (interference), 3:47; Bean Cha (slashing), 11:22; Renouf Cha (delay of game), 11:48; Bardreau Lv (slashing), 15:13. Shots on Goal-Charlotte 16-9-12-0-37. Lehigh Valley 8-13-6-4-31. Power Play Opportunities-Charlotte 0 / 6; Lehigh Valley 2 / 7. Goalies-Charlotte, Nedeljkovic 9-2-1 (31 shots-28 saves). 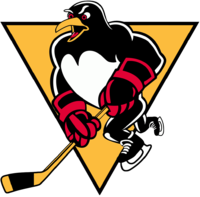 Lehigh Valley, Hart 4-2-2 (37 shots-35 saves). Referees-Michael Markovic (47), Jeremy Tufts (78).